To be honest, I remeber that car to be quite different: in the mod it hasn't got the right curves and proportions, from some angles looks like a cheese grater. A bit more time in refining those and we could be speaking of it in whole different terms. In a way, reminds me of a lazy (as in "without researching for real photos") attempt in trying to convey the "petiteness" of that car. That was everything but little, slightly smaller than the rest, but not in a way more akin to a Morris Cooper. 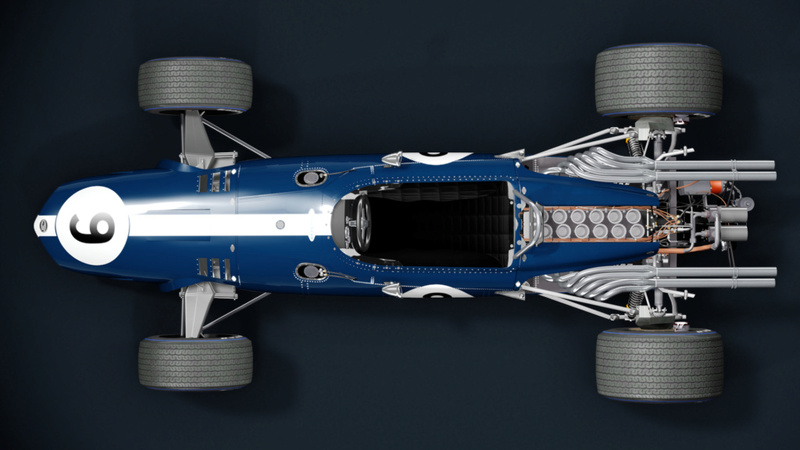 Look at the girth of the Repco and the body, the nose too: way too slim. (Yes, it's not the original blueprint, but Ozpata made it from the original blueprints, so it does count). Are the models in this picture 1/43 die cast or AC cars worked on? Edited by M Needforspeed, Mar 10 2019 - 11:32 AM. 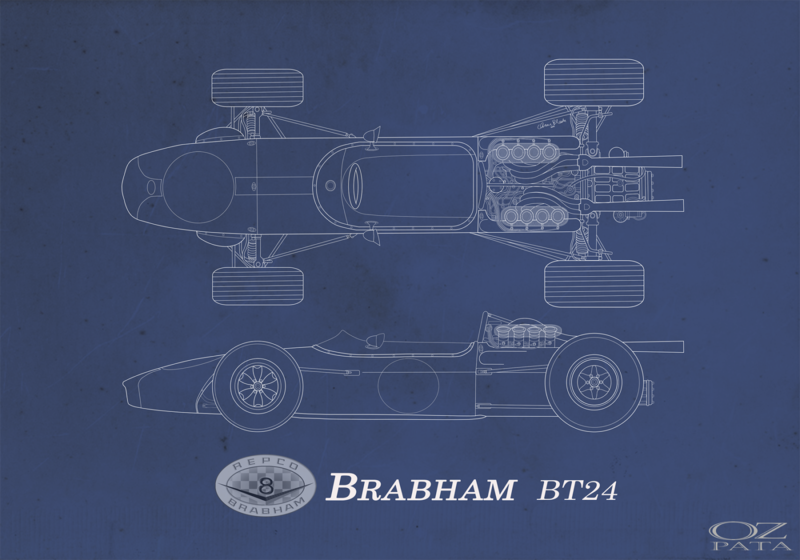 The cars look like some rework of the GPLEA ones, barred Ferrari (AC Red Pack), Brabham (original), Lotus 33 (Which is a 25 with bigger tires), Matra MS5 (Ripped from RF2). Edited by 4ph3x, Mar 17 2019 - 09:45 AM. Watkins Glen 1967 has been released for AC. Trackout layout comports with track map on the Stats F1 website. Scenery looks different from GPL but road surface is good. Anyway another period track for mod in question. Must say blasting over the crest into Watkins Glen turn 1 in VR (while trying to look smooth turning and braking at the same time) is invigorating. 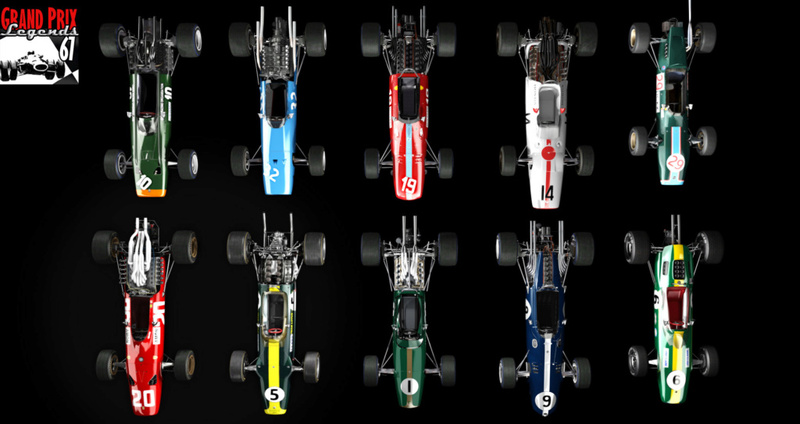 : o There's also now an open beta (F1 1500 mod) consisting of the Lotus 25, Ferrari 156 (Sharknose), Cooper T55, Porsche 804, and also the Ferrari 158. I think this mod is even more fun than the AC GPL67 mod. Apologies to GPL faithful. Only good enough reason to play other than GPL is VR. VR is a biggie for me. I drive drive better with VR and the immersion is better. Can't go back to non-VR sim. 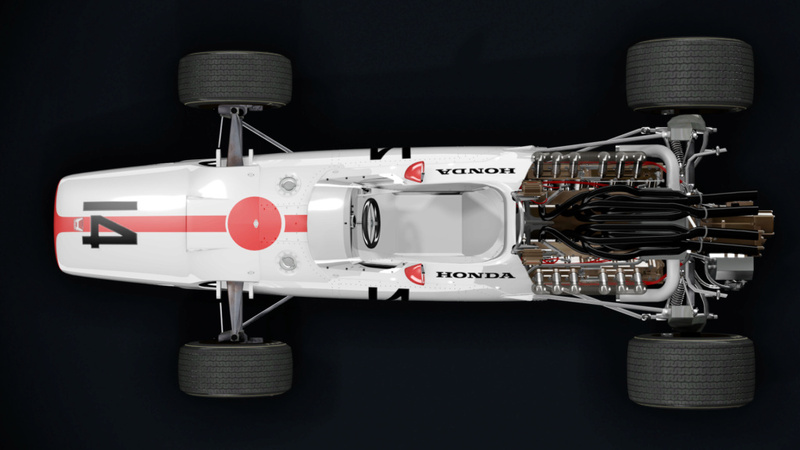 There's also now an open beta (F1 1500 mod) consisting of the Lotus 25, Ferrari 156 (Sharknose), Cooper T55, Porsche 804, and also the Ferrari 158. I think this mod is even more fun than the AC GPL67 mod. I read somewhere that the amazing Sergio Loro has nearly completed the Sudschleife for AC as well, that should be a blast! Edited by webfoot, Mar 31 2019 - 08:29 AM. Eifel Sudschleife and Betonschleife are ready to drive. Edited by sergioloro, Apr 20 2019 - 03:44 PM. Looks like a fun truck to try out? Wasn't this track being built for GPL, specifically the F2 mod? I have heard nothing about it in a long time.